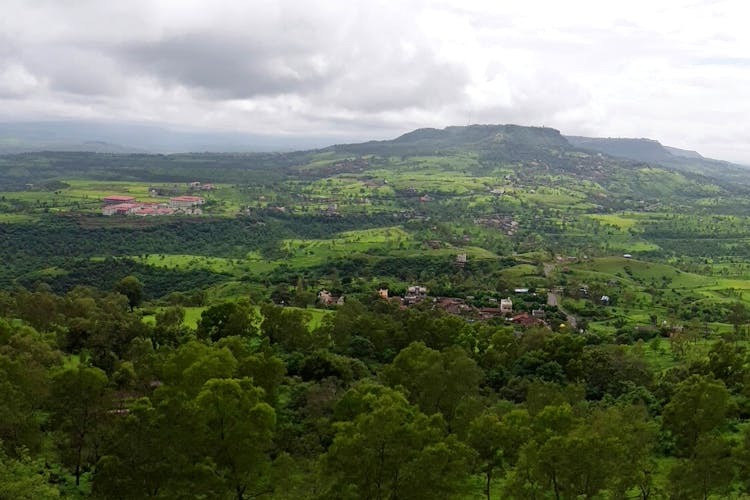 Panhala is a quaint little hill station and is just a six-hour drive from Mumbai for anyone who’s looking to explore the misty valleys, greenery and most of all get some quiet time by yourself. Located about 330 kms away from Mumbai and a six-hour drive, Panhala is doable as a road trip. Take the Mumbai-Pune expressway via Panvel to Khandala and then Pune and onwards. If you’re looking for car rental options, check it out here. Panhala falls on the outskirts of Kolhapur district is known for its rich history and the Panhala fort that gives you the panoramic view of the entire hill station. The grand and imposing fort is situated 20 kms from Kohlapur and shares its landscapes with the gorgeous Sahyadri hills on the Western Ghats. Panhala was the Maratha capital from 1782 until 1827 and the only fort where Shivaji lived for more than 500 days. However, post 1827 it became a part of the British Empire. The imposing fort still stands tall dipped in nostalgia, culture and is a great place to spend a day. To get some quiet time for yourself with you family, partner or if you’re out with your squad, explore the valley to the heart’s content. One can do a lot in Panhala. During the monsoon, the entire hill station lights up and the hills see the cloud roll in making it a scenic town to walk in. If you’re looking to stay there, and we suggest you do, there are a lot of budget hotels and resorts. You can stay at the Masai Resorts here, or at the Anandam Eco homestay here for a wonderful quiet holiday. Panhala is a sleepy hill station that grows on you. Though the best time to visit is October to January, it sees visitors all-year round. Sights of Forts, tanks and wells may just be the holiday you’re aiming at.